Now that the holiday shopping season is in full swing I thought I’d share some gift ideas I’ve been gathering for our two (almost three) year old daughter, Kate. If you have any little girls (or boys) in your lives, maybe this will provide some inspiration! 1. 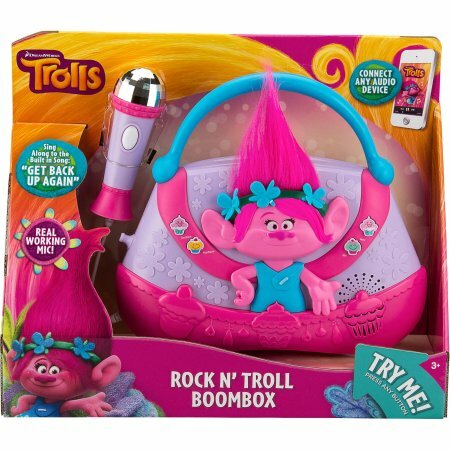 Trolls Boombox. Kate loves to sing and dance and is always asking for a “dance party” so I think she will love this boombox that she can control herself. She is a big fan of Trolls (it was her first movie in the theater) and the music is SO good. Currently $25 from Walmart. 2. Balance Bike. Her big gift from Santa this year will be a balance bike to help get her ready for a regular bike. These are supposed to replace the need for training wheels and tricycles. 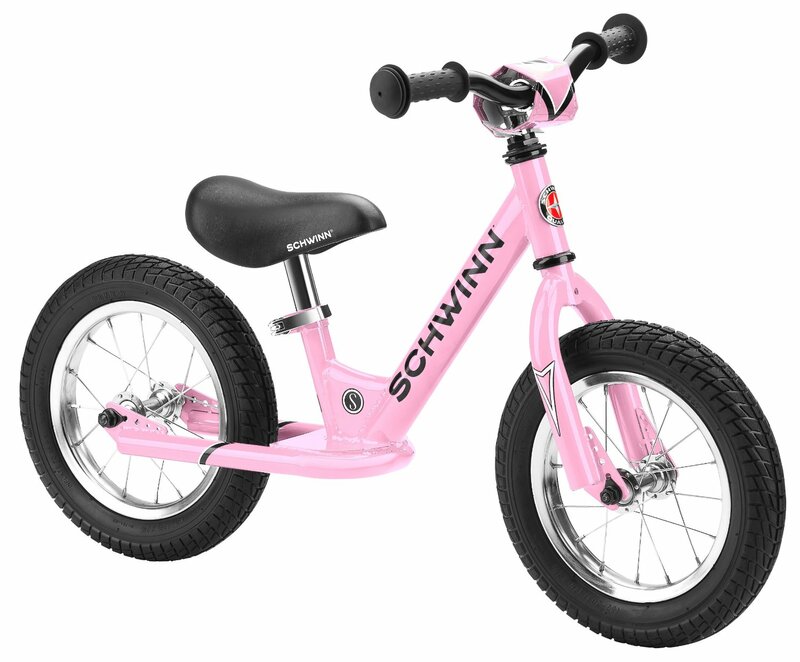 This one from Schwinn is reasonably priced and got great reviews on Amazon. It comes in four colors. 3. Mermaid Blanket. 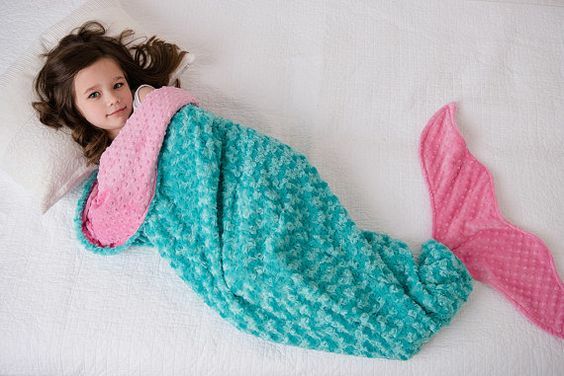 Kate is obsessed with mermaids right now and I know she will get a kick out of this mermaid tail blanket. It comes in a variety of sizes from baby to adult and 30+ color combinations, so I plan to order one that matches the teal and pink colors in her big girl room. Starting at $26 off Etsy. 4. 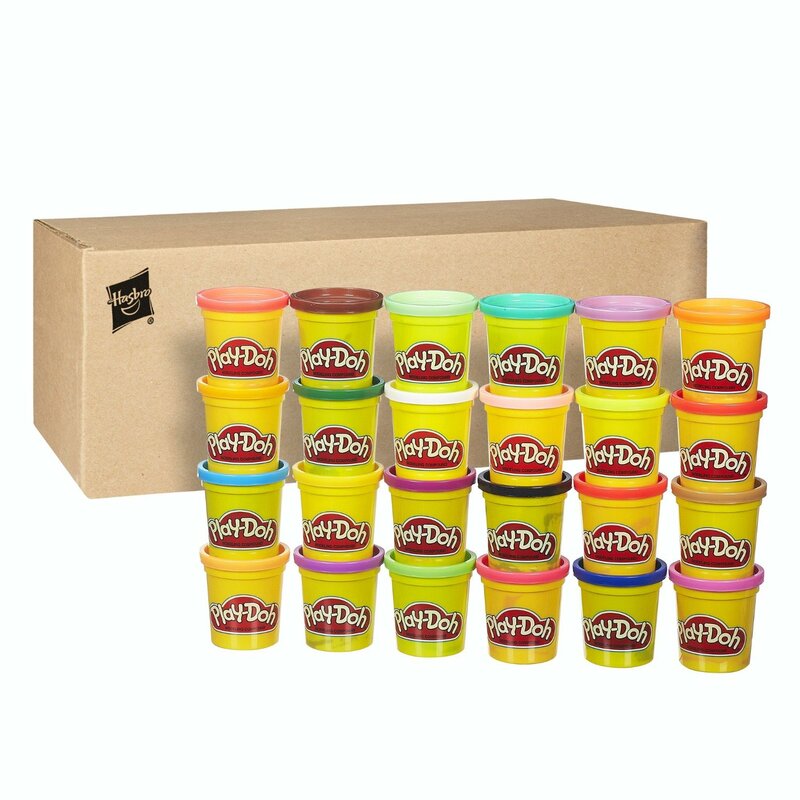 Play-Doh. Kate and her friends love to play with Play-Doh and as a result all of ours is all dried out and mixed together. So I’m planning to toss the old stuff and start fresh with this 24-pack from Amazon for less than $20. Hours of fun. 5. Christmas PJs. Every kid needs a special pair of Christmas “jammies” to wear to bed on Christmas Eve and open presents in Christmas morning. Each year I let Kate open up her Christmas jammies on Christmas Eve, along with a Christmas book. These organic pajamas by Burt’s Bees are adorable and less than $12 right now at Target. They come in sizes for the whole family too (if that’s your jam). There is another more masculine gray version that is super cute too. 6. Dress-up shoes. Kate is really getting into dress-up play and when a vacation house we stayed in over the summer had some of these, she wore them non-stop. This set of 4 pairs from Melissa & Doug is $15 right now on Amazon. 7. Toy Dyson Vacuum. 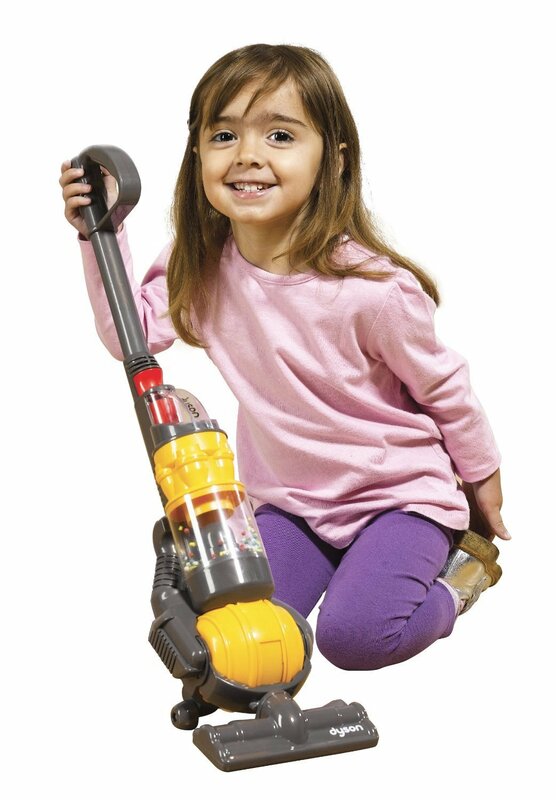 Kate is all about helping with tasks around the house so I think she would love this Dyson replica toy vacuum. It even has real suction so her play time can be productive, too! $30 right now on Amazon. 8. Jewelry Box. 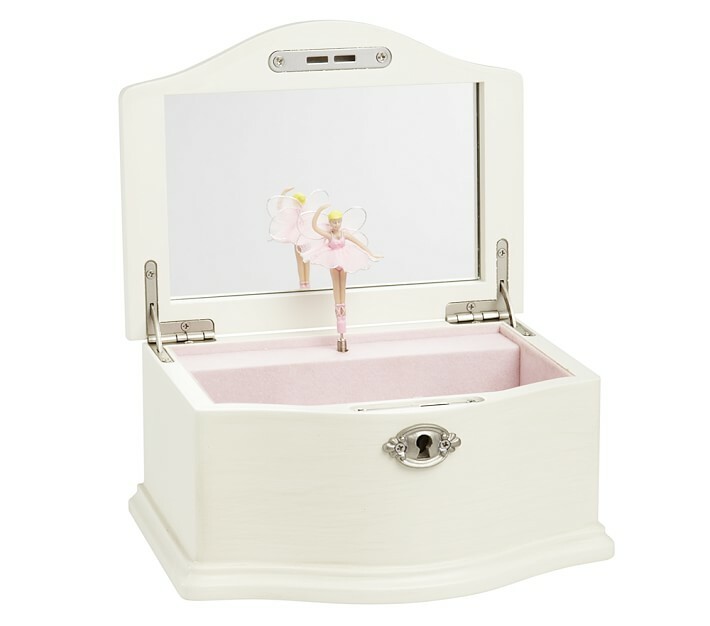 What little girl wouldn’t love a jewelry box with a turning ballerina in it? This one from Pottery Barn is sure to be treasured for many years to come. They come in various sizes and colors starting at $39. If you are like me and do almost all of your shopping online, here are a couple quick tips I use to save some extra cash. Ebates– This site gives you a percentage back on almost every online purchase you make. I installed the plug in, so you don’t have to remember to shop through Ebates, it pops up every time you visit a retailer that offers an Ebates reward. They send you a check each quarter and I’ve earned more than $200 since I signed up about a year ago. They also provide you with the best and latest promo codes for the retailers. Raise– This site/app allows you to purchase gift cards at a discount. So for example if you are about to spend $100 at Sephora, see what $100 gift cards are selling for on Raise (they are $95 right now) and save a few bucks. You can choose for it to be delivered by mail or electronically— in which case it sends the code directly to your phone. I started using Raise in January and have saved more than $100. You can sell your unwanted gift cards too. Use this link to get a free $5 toward your first gift card purchase. You can also find my gift ideas from last year here for 1-2 year olds. Kitchen Renovation Part IV: Almost Done!